A Family in Bloom Adoption is a licensed, Hague Approved International and Domestic Adoption Agency in Colorado. We help create and grow families through domestic and international adoption. Our mission is to accomplish this goal through quality personalized service, with a commitment to high ethics and integrity. 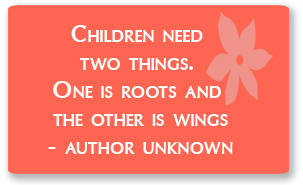 Central to the agency’s philosophy is the belief that every child deserves a loving, secure and permanent family. Respect, care and understanding are integral to our work with birth parents. The agency works with any applicant, birth parent or adoptive child regardless of race, ethnicity or national origin. We are licensed for adoptions in the age range of 0 to 18 years. Children with special needs can be placed by the agency. Within the US, A Family in Bloom Adoption has experience with all kinds of domestic adoptions. Currently, our agency has an adoption program for children in the foster care system, and one a Domestic Infant Program for specific kinds of situations. Our agency offers international adoption programs in Bulgaria, Jamaica, Morocco, Nicaragua, Nigeria, and Uganda. Some of the diverse countries where we have acted as Primary Provider and will continue to do so are Cameroon, Ghana, Guyana, Iran, Morocco, Tunisia, The Bahamas, Trinidad and Tobago. 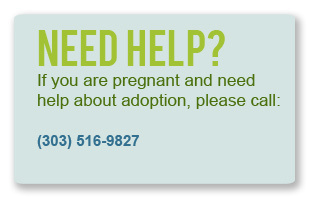 To learn more about our adoption services, please peruse the other pages on our site, contact us at this email address or call at: (303) 516-9827. A Family in Bloom Adoption has over sixty standing agreements and partnerships with other adoption agencies throughout the United States for adoption purposes. In the case of domestic adoptions, these are collaborative agencies that usually have a similar approach and work style to our own. In the case of international adoptions, our agency usually acts as the Primary Provider or Placing agency, relying on out-of-state agencies or private practicing social workers we have approved to handle families’ home studies and other adoption related services. In some of the more populous US States, like California, New York, and Texas, A Family in Bloom Adoption has several agencies for referral. In the case of some states though, there is one “go to” agency for our adoptive families based on long-standing work relationships. If you live in these states noted below, please feel free to contact them about our agency’s work for your international adoption.